Hi! 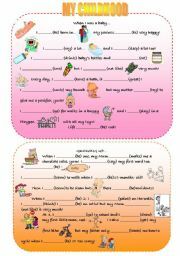 I teach English in the North of France and I love the idea of sharing worksheets! Thanks to everyone for their ideas. This battleship game makes your students practise Yes No questions at the simple present with frequency adverbs. It can be used either as a pairwork or you can divide the class in 2 (it’s easier that way to control the game). The rules are included on the second page. I tried it today in class and it worked really well so I hope you’ll like it too! 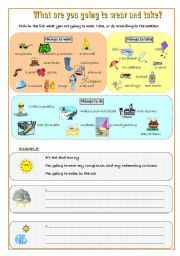 A vocabulary worksheet on the different holidays places and activities. 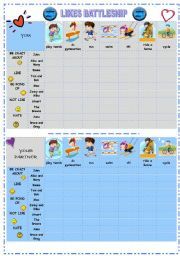 It can be used to talk about past (simple past) or future holidays. 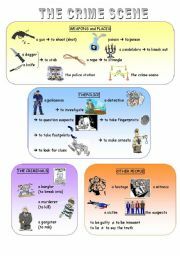 This is a vocabulary worksheet about crimes and investigations. 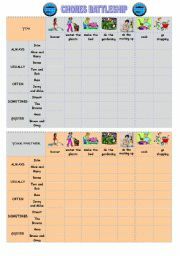 In this worksheet, your students will have to say what they are going to wear, take and do according to the weather. This is a battleship game aimed at pratising the expressions of likes and dislikes and the vocabulary of sports. You can make your students play it by pairs or divide the class in 2 groups or more.The other page includes "how to play" and exercises. 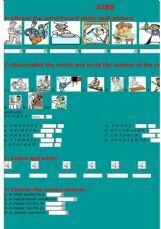 This worksheet is made to practice the question "Please can I" in class; the pupils ask for permissions or answer the teacher´s questions. Pictures from the French book Step in. 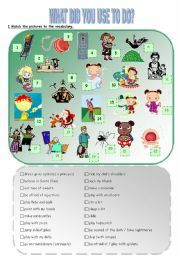 With this worksheet your students can practise the past simple and talk about childhood. As a follow up activity, they can bring photos and ask questions to one another about their own childhood. This is my first try as a 4 skills lesson so be indulgent! There may be mistakes and it´s probably not perfect but I tried as hard as I could! It´s about childhood memories and it aims at practising used to and the simple past.Hope you like it! A battleship game to practise Christmas vocabulary and present continuous. Students usually love this type of interactive game! 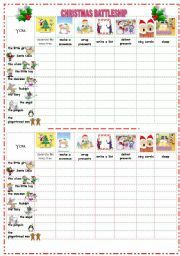 There is a pair work as a follow up activity but it was too big to be included: here´s the link http://www.eslprintables.com/printable.asp?id=340738#thetop. Hope you like it! 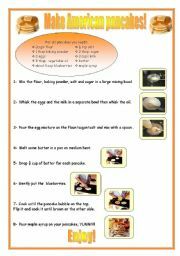 This is the recipe I finally decided to make and the worksheet I made! There are some exercises but the 3rd one needs to be changed a little if you´re not French (I ask students to find French equivalents because we don´t use cups and tablespoons). Hope the cooks among you will like it! This Powerpoint is meant to practise the possessive case (genitive) with the vocabulary of the family using the famous Addams Family. You can use it by itself or after studying the original opening song of the series with a description of the characters(see my other worksheet). 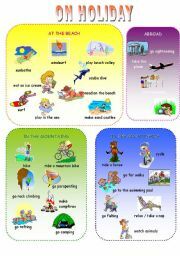 Very easy exercises to practise jobs vocabulary.